When you think about the major milestones of your life, one of the most important ones is selecting the right college or university. Getting good education and learning the right profession is makes the difference between many ways of life, not only earning enough money but choosing HOW we earn our money. But selecting a college or university is not that simple, as any who has ever attended one knows. Judging a higher education school only by its credentials is not enough. You must select the college or university you need not only according to its credentials but according to student life in the establishment as well. Why does student life become a factor in the selection process of a college or university? Because making connections is an important step in developing careers and group learning, student groups and the student life in general play an important part of how well one can really study in a college, as well as have fun (which is really also important for learning). 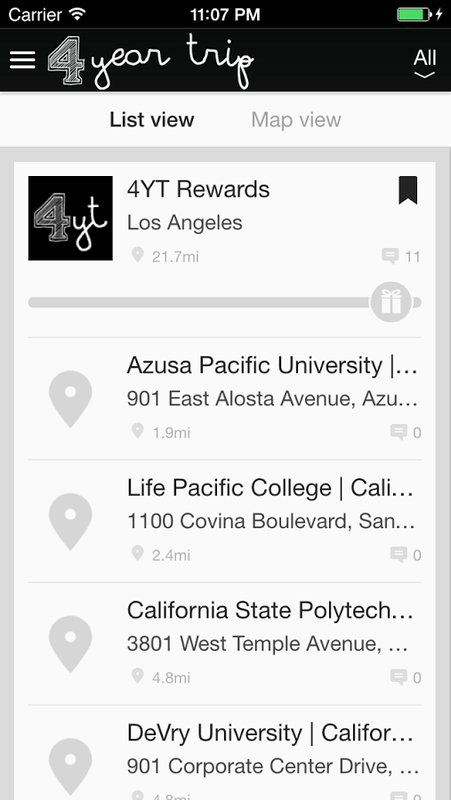 4 Year Trip is an app that is supposed to do just that, help us select the best college for us for our higher education and help us keep abreast of important information during studies. We gave the app for reviewing for those of our team that are actually studying in colleges and universities, as well as those that are about to learn there AND those that graduated not long ago, in order to get as many opinions as possible. 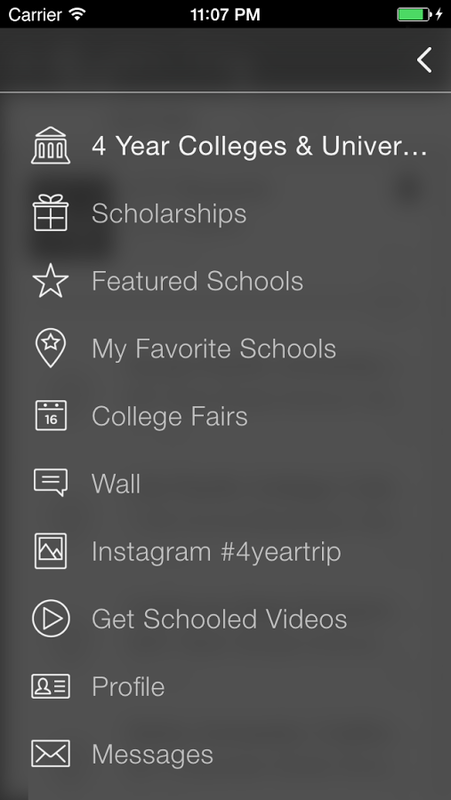 First off all, the app really does contain a lot of info on a lot of schools. Credentials, pictures, contact info, website links are just part of the data the app presents about each school. Of course, the most important thing is the user reviewers and opinions of the schools from people who actually study there. Another thing all of our reviewers liked was the wealth of information presented about student life, from fairs to events and even things like scholarships and 'how to do' instructions, from enrolling to changing courses. The main tip our reviewers gave about this app is about continuous use. More information about additional schools is added all the time, on a daily basis, so checking in daily will insure you don't miss anything people add. In addition, the app makers (studio Droiple) reward people for checking in, posting and adding info and reviews, so doing that will help others AND insure you get some nifty prizes. Keep in mind that the app also serves as a great billboard for special school offers and special offers from businesses to students, so like we said earlier, the usefulness of this app does not end after enrolling. 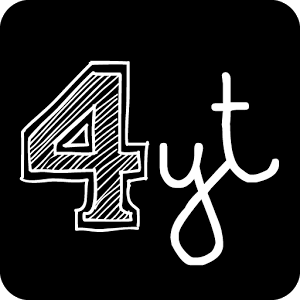 4 Year Tip is the tool every student needs, dispensing information, pics and reviews about colleges and universities, as well as information that every student will need AFTER enrolling, such as fair, scholarships, special offers, study groups and much more. Score: 4.6. 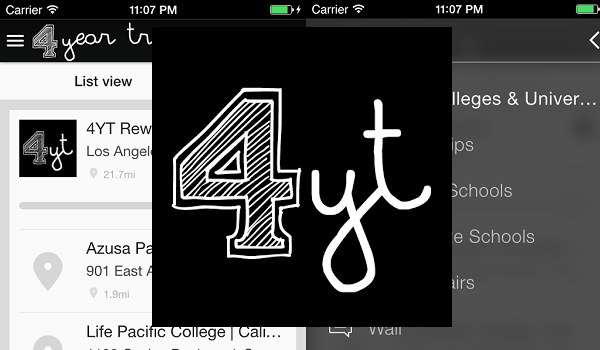 All the relevant college and university data in one app. Description: An info dispensing app about higher education schools, from reviews to pictures to scholarship information to special offers to fair information. Good Points: A huge depository of data. Reward system for posting information. Easy access for every piece of data. Slick and professional design. Experience: Everyone started using the app easily and without a hitch. The easy to use interface made finding data a quick process. Posting took a little more time but the rewards made it worth our reviewers' time. Longevity: All those who went through colleges or were about to enter a college kept the app installed as it is a great college and student life data repository.